These low noise amplifiers (LNAs) by Skyworks feature an ultra-low noise figure, high input, and high linearity, and more. Both models are well suited for applications involving cellular infrastructure, military communications, metering, land mobile radios, public safety, and sensors. The SKY67111-396LF LNA covers the 0.7-1.2 GHz range and has a 0.51 dB noise figure. Additional features include an input return loss greater than 18 dB, 18.9 dBm high input IP3, an adjustable supply current and gain, and temperature and process-stable active bias. It’s particularly ideal for CDMA, WCDMA, and LTE cellular infrastructure, and for use in ultra-low-noise systems. 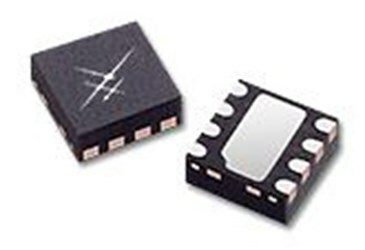 The SKY67110-396LF low noise amplifier covers the 0.3-0.7 GHz frequency range and features high gain (21 dBm), 16 dBm input IP3, an ultra-low 0.65 dB noise figure, a 1 dBm P1 dB input, and temperature and process-stable active bias. Like its sister part, it’s ideal for CDMA, WCDMA, and LTE cellular infrastructure and in ultra-low-noise systems, but can also be used in ISM, TETRA, RFID, and LMR.